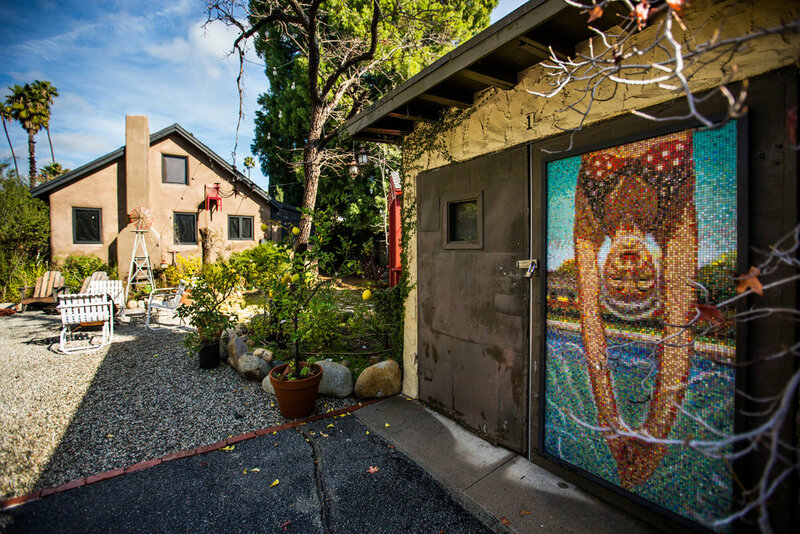 Our mosaics are an excellent solution for large scale fine art, both indoor and outdoor applications, with exceptional durability, eye-catching colors, and textures that invite viewers to come close. We have installed unique, custom-built mosaics across the United States. Using a proprietary process invented by artist Kenton Nelson and his team, our mosaics are created using the finest Italian glass tiles, and hand-built at our studio in Pasadena, California. Our mosaics are comprised of 5/16 inch Vitreous glass tiles, manufactured in Italy. We have chosen these tiles for their superior color and quality characteristics. One square foot of mosaic contains 840 meticulously hand set tiles. Your mural will have permanency of color, unlike hand painted murals which require touch-ups every few years. To ensure the utmost quality, consistency and control, all murals are fabricated in our Pasadena, California facility. Then our experienced team will professionally install the mosaic on site, within a matter of days. Morton Court Mosaic retains the exclusive right to recreate the imagery and designs of contemporary artist Kenton Nelson. We work with you to create a unique image suitable for your project, and produce digital renderings of your image in place, as well as a tile-for-tile rendering, so you know exactly what will be installed.